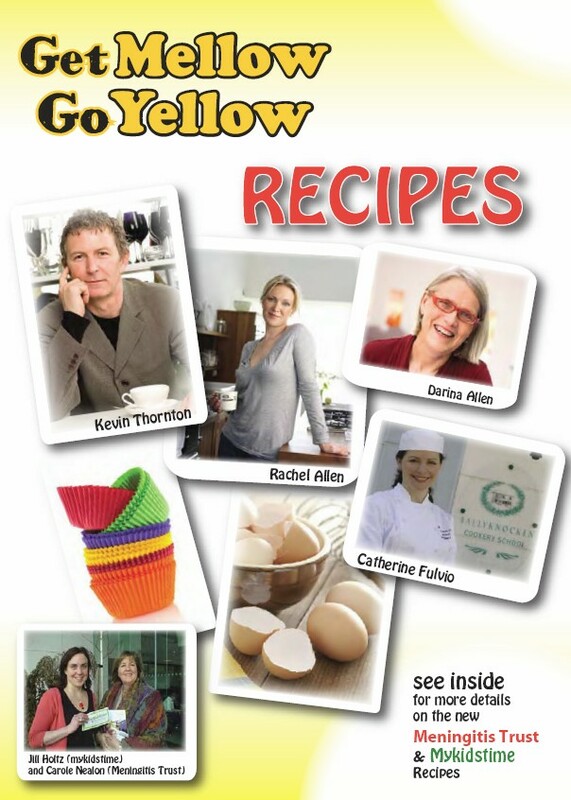 Mykidstime.ie and the Meningitis Trust have recently created a special “Mellow Yellow Recipe Booklet” available with “yellow-themed” recipes from some of Ireland’s best-loved chefs, including Rachel Allen and Kevin Thornton. The ‘Mellow Yellow Recipe Booklet’ can be downloaded from the MyKidsTime website for only €5 and all proceeds go to the Meningitis Trust. Well worth supporting!